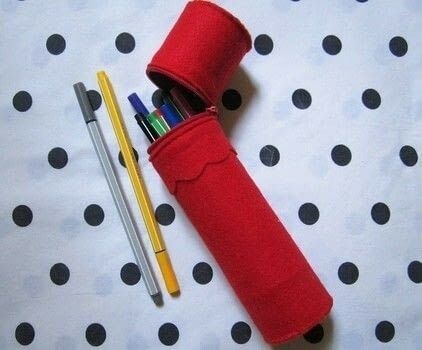 Recycle empty toilet rolls and make this cute pencil case! 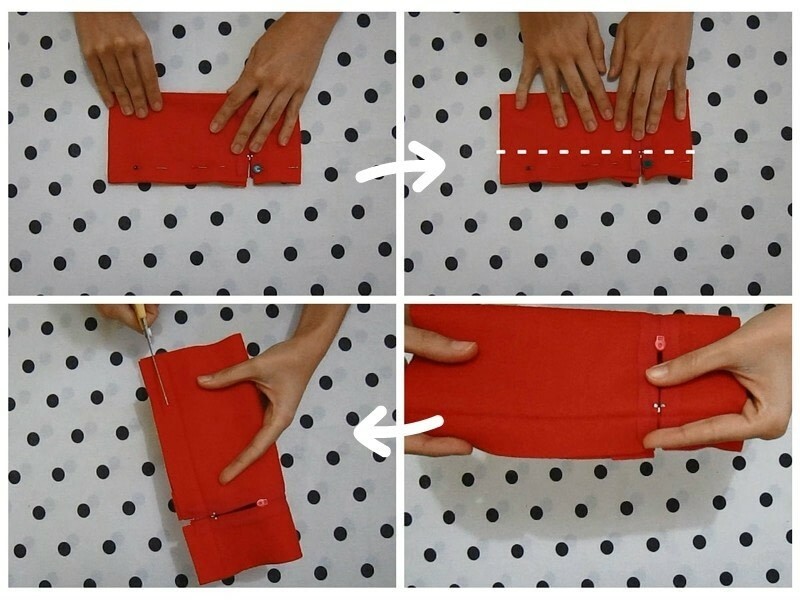 In this tutorial you learn how to make a zippered pencil case using a empty toiled roll! 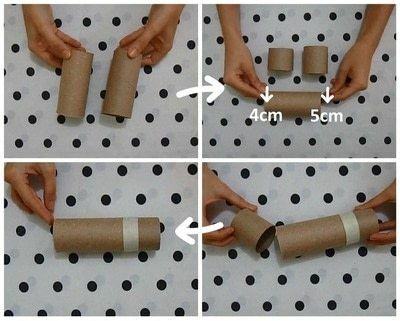 First we need 2 toilet rolls, set one aside and cut the other into two parts: one measuring 4cm, the other 5cm. The bigger is the top of the pencil case, the smaller you have to join with the other toilet roll using masking tape. The toilet rolls are ready! Cut a 20cm square of felt. The zipper can be the same size or a little smaller than the felt. I also add a scalloped strip of felt with 3cm width. Cut the square into two according to the dimension of the toilet rolls. Sew the felt on top of the zipper. 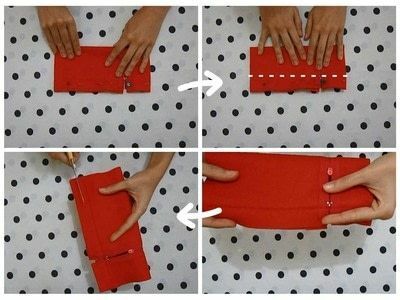 I use a sewing machine but you can sew by hand. Pin and sew. 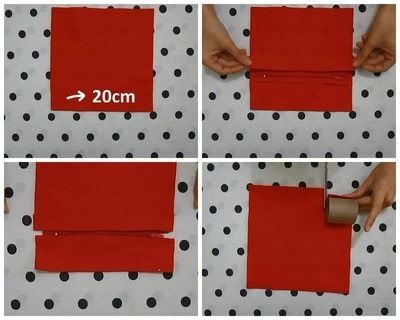 Open the zipper and fold in half, measure the diameter of the rolls and trace. Pin and sew a straight line on the side. Reinforce the seam when going through the zipper and do not sew over the metal parts! Cut off the excess felt. Now open the zipper and turn it over. Then, place the toilet rolls inside. If you sewed in the right measure, it will fit just right. 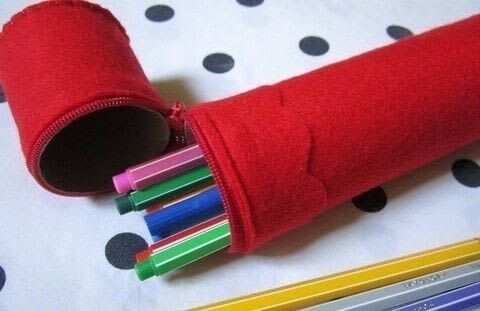 Now you just have to close top and bottom of the pencil case. Cut 4 circles of felt (2 pairs)and two circles of cardboard too. Note that the cardboard must be slightly smaller than felt. The measure is the diameter of the rolls. 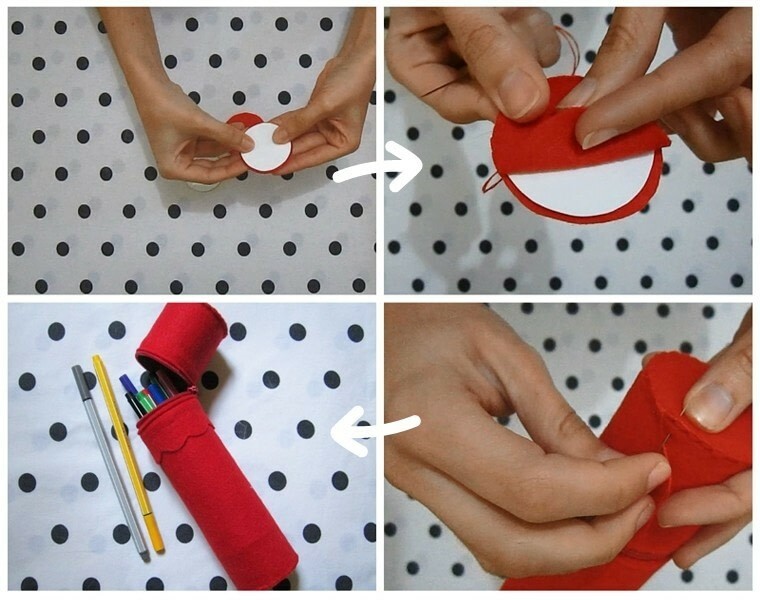 With 2 circles of felt, stitch around but not until the end, when you get halfway place the cardboard between felt and continue to stitch. Note that we have a margin to stitch, do not sew over the cardboard! Do the Same with the other circles. Now stitch the circle to the top of toilet roll case. Do the same with the bottom and it's done! Awesome! I've been trying to come up with something like this to make my glass straws portable.